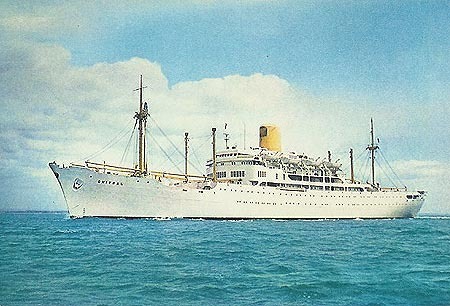 The sister ships Cathay and Chitral, formerly the Baudouinville and Jadotville, were the last passenger ships to be built for the Compagnie Maritime Belge. 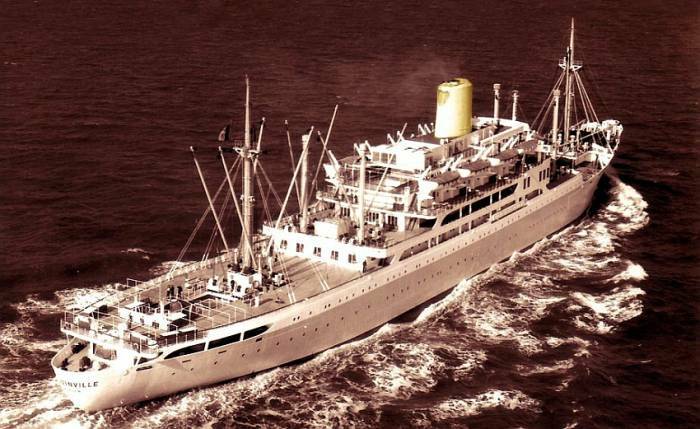 They had a very short life under the Belgian flag, due to Congolese independence in June 1960, and were sold to P&O in 1961, for just £3 million. 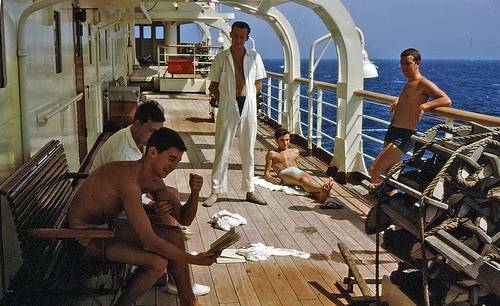 Operating on a Far East schedule from Tilbury to the Far East until 1970, ownership then passed to the Eastern & Australian Steamship Company, a P&O subsidiary, serving between Australia, the Far East and Japan. 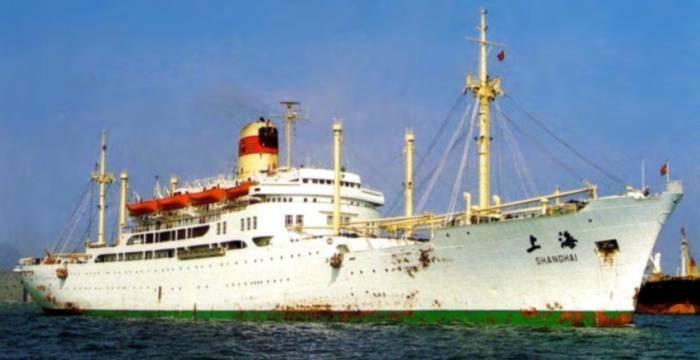 Chitral was scrapped in 1975, and Cathay in 1996 - after long service with the China Ocean Shipping Company, who had acquired her from the Nab Yang Shipping Company in 1976 as the Kenghshin. 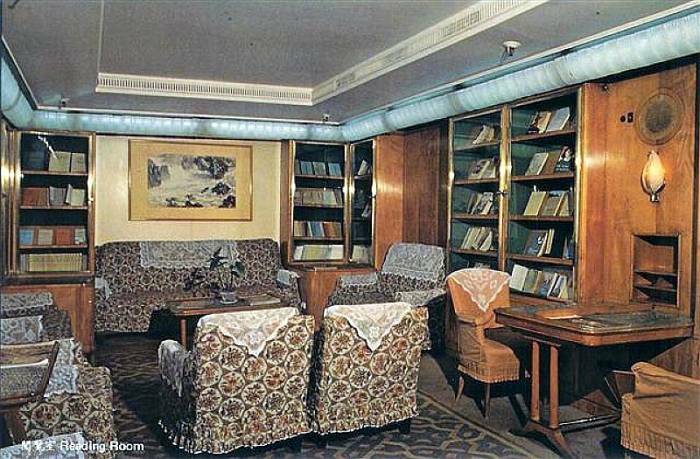 Under China Ocean Shipping Company ownership, she was re-named Shanghai, and well maintained for two decades. 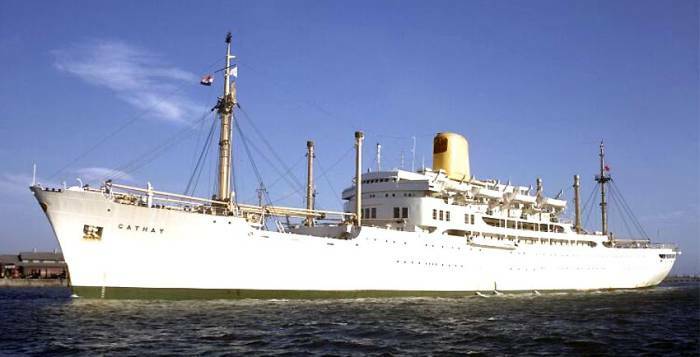 Jadotville departed for her maiden voyage, from Antwerp to Matadi in the Belgium Congo, on 23rd July 1957. 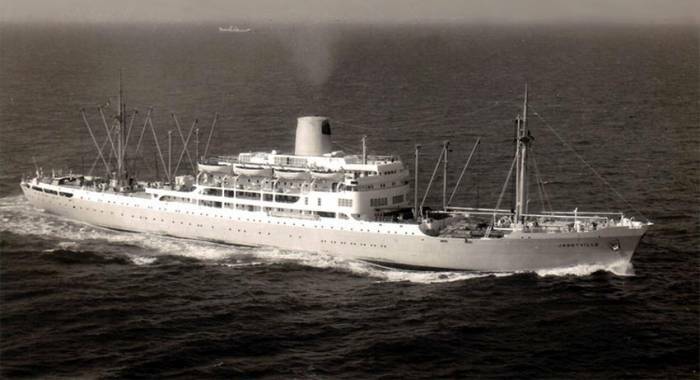 Baudouinville's maiden voyage, from Antwerp to the Belgium Congo, commenced on November 2, 1957. 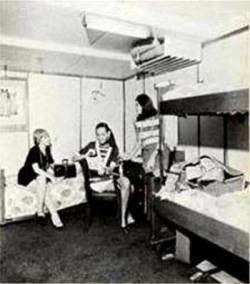 The two ships had comfortable outside cabins, initially for 274 passengers, and six holds with a capacity of 532,500 cu.ft of general cargo, and 16,600 cu.ft of refrigerated. 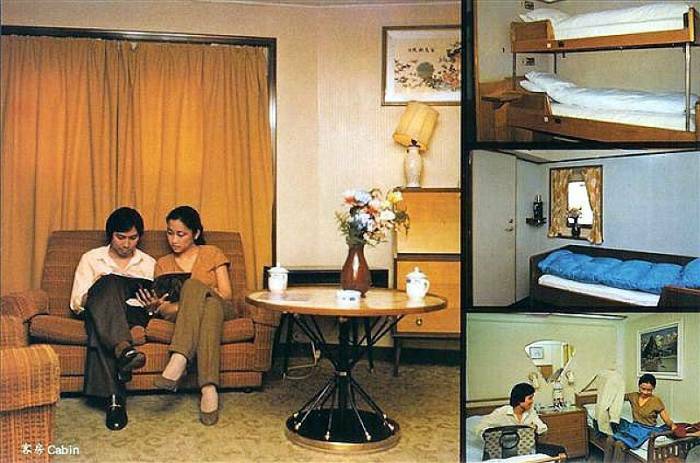 Passenger accommodation - three and two-berth cabins. 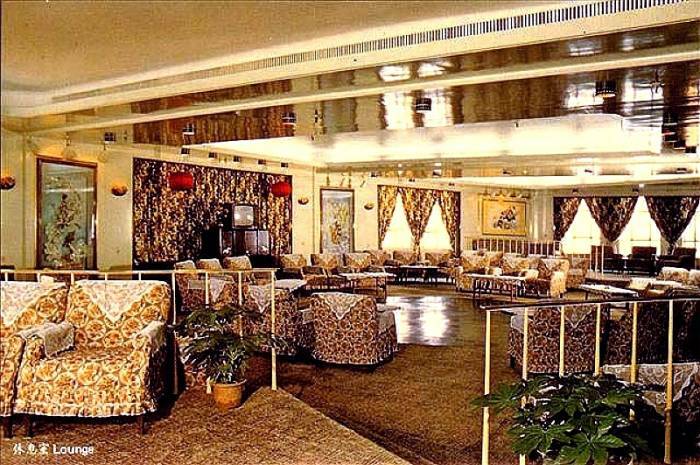 Passenger facilities included a spacious lounge and dance floor, an elegant smoking room and bar, a library and writing room, a verandah café located aft, overlooking the pool and aft sports decks. 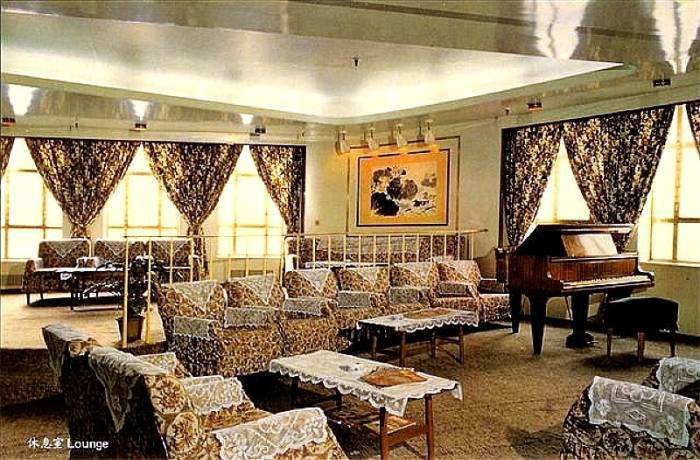 There was also the shop and hairdressing salon, a cinema, and a children’s playroom. 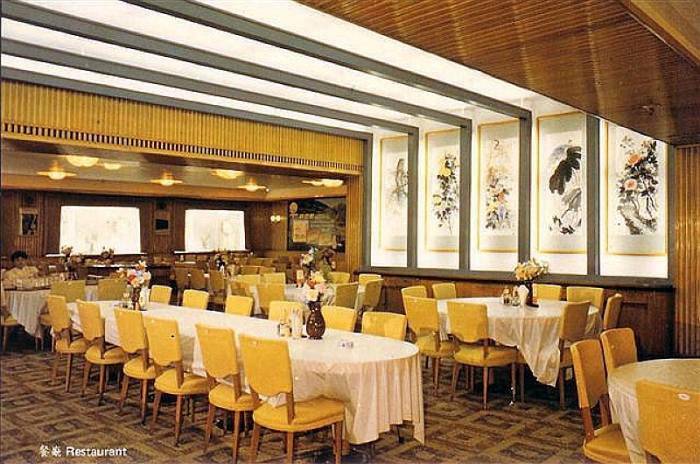 The dining saloon was the full width of the ship. 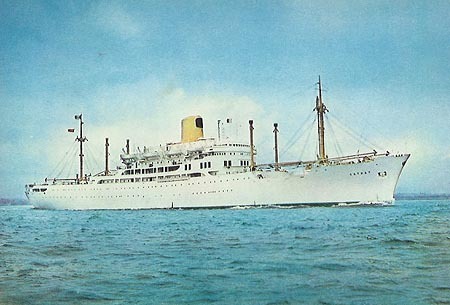 Chitral, refitted and under P&O ownership. 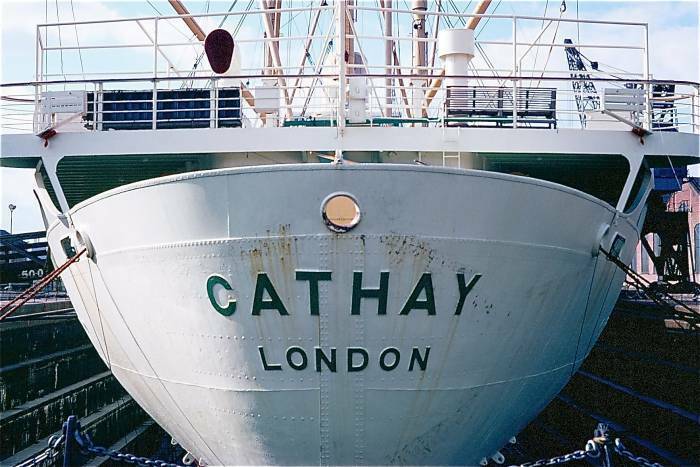 Cathay, refitted and under P&O ownership. 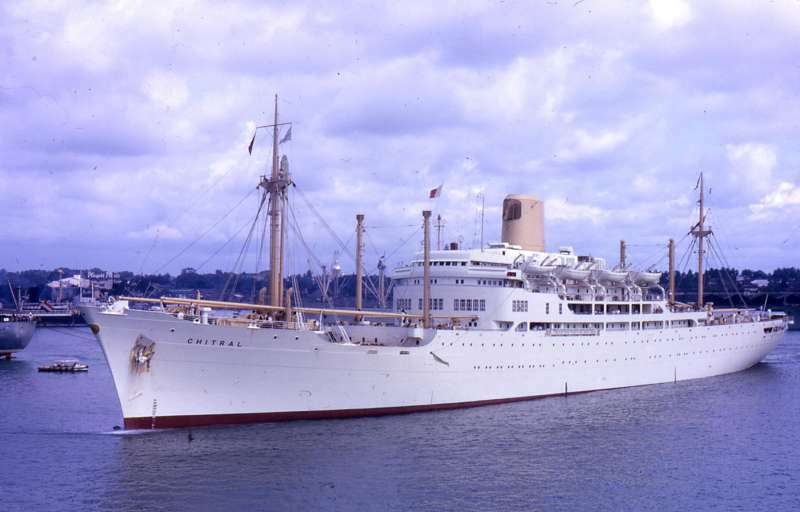 Canberra and Chitral dressed overall at Yokohama. Note: The dry docks and ship repair works now lie under the City Airport runway. 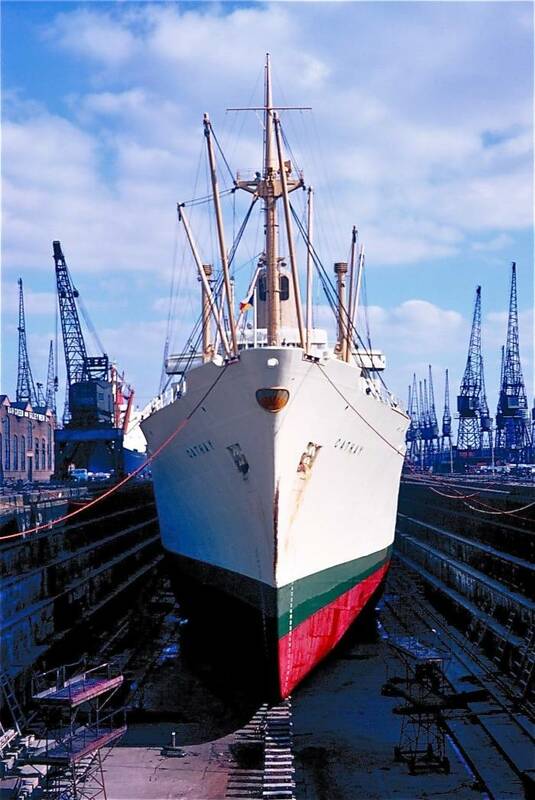 KGV Drydock, London 1969. Photo: Michael Sutcliffe. 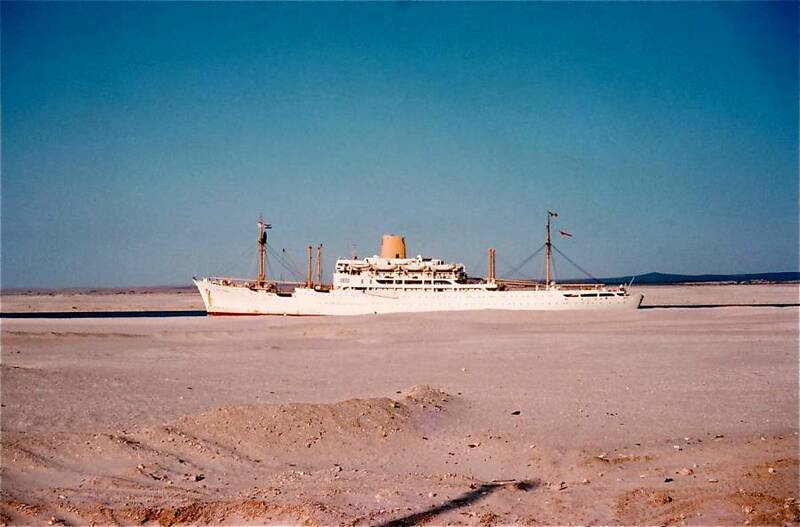 Although popular with the fare-paying public, the closure of the Suez Canal in 1967 necessitated all company ships having to make a very long and expensive detour around Africa, which was to eventually prove uneconomic, particularly for the smaller ships on the Far East trade. 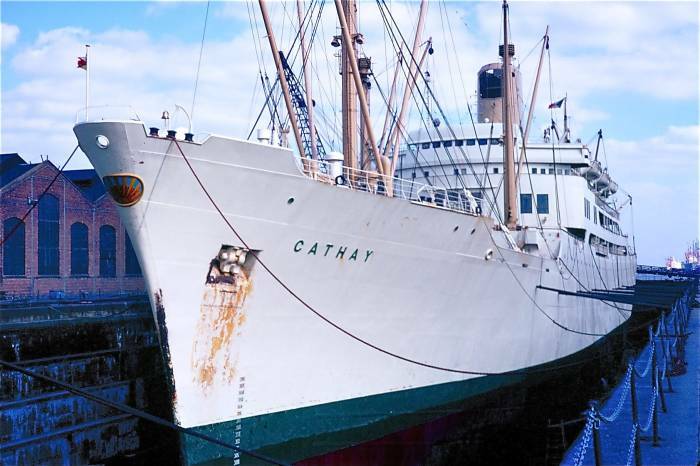 Consequently, Cathay was withdrawn from service in mid-1969, and transferred to the Eastern & Australian Steamship Company. Chitral was also withdrawn from service and laid up, awaiting sale to new owners - which proved to be unsuccessful. 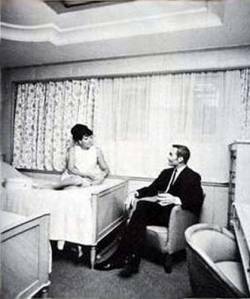 Consequently, in the summer of 1970, she was deployed to Genoa, in Italy, from where she conducted a number of Mediterranean cruises. Finally, the decision was made to transfer her to the Eastern & Australian Steamship Company, where her sister ship was proving to be very popular with the Australian public. 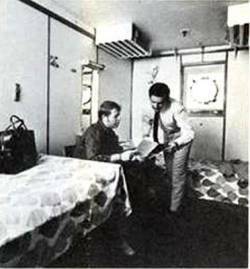 Chitral joined Cathay in Melbourne in October 1970 and commenced a regular schedule on the Japan service. The ships proved reasonably profitable, due in part to their large general and refrigerated cargo capacity. 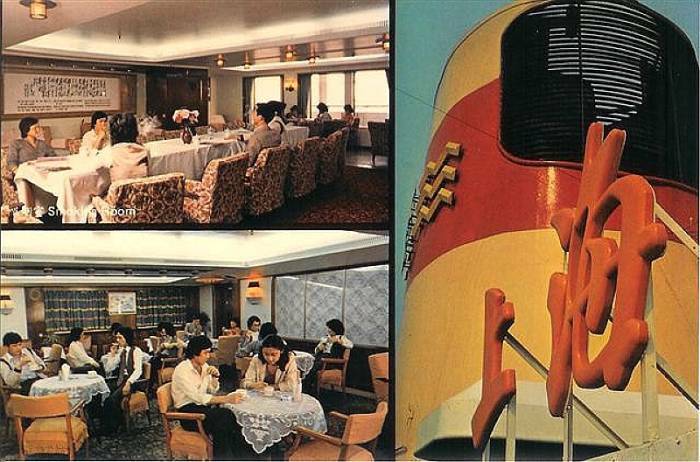 Eventually, the fuel price rises of the mid 1970s, together with the birth of cargo containerisation, sounded the death knell for steam turbine driven cargo/passenger ships on the Australia - Japan service. 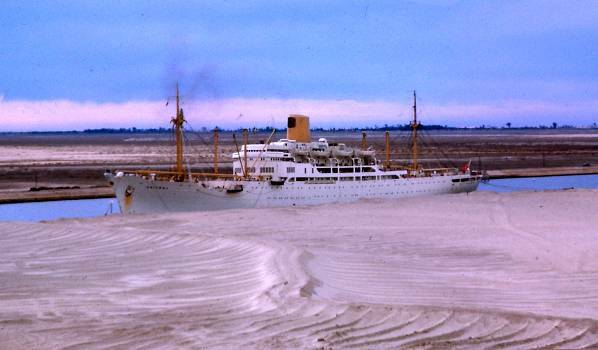 Chitral was sold on 3rd December 1975, to the Chou Iron & Steel Company Breakers Yards at Hualien in Taiwan and was duly broken up early in 1976. 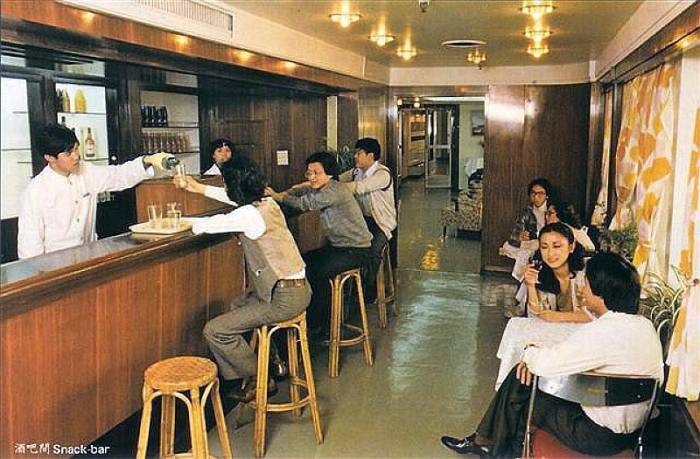 Cathay finally departed Melbourne on 1st December 1975 calling at Sydney and Brisbane, then on to Hong Kong, where she arrived on the 17th. A month later, on 28th January 1976, she was sold to the Chinese Nab Yang Shipping Company, renamed Kengshin and temporarily used as a training ship, before being sold to the China Ocean Shipping Company, and re-named Shanghai . 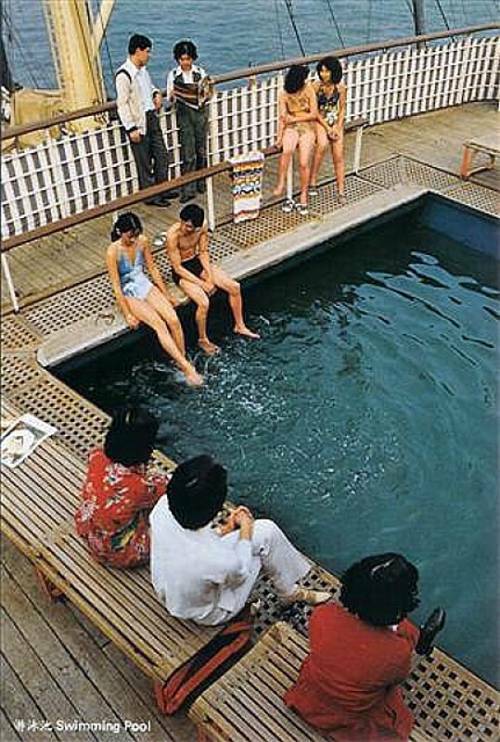 In 1996, after almost 40 years at sea, she was broken up.